Sponsorship increases the presence and visibility of your company and identifies the company as a leader in the industry. All sponsors receive logo placement on program materials and the EBC website and are included in email marketing. Sponsorship of an EBC program supports the EBC, promotes your company services and/or products, and increases your company’s visibility in the industry. The basic benefits listed at the top of this page. Please note that Bronze Level sponsorship DOES NOT INCLUDE a complimentary registration. In addition to sponsorship opportunities, the EBC also offers showcasing. 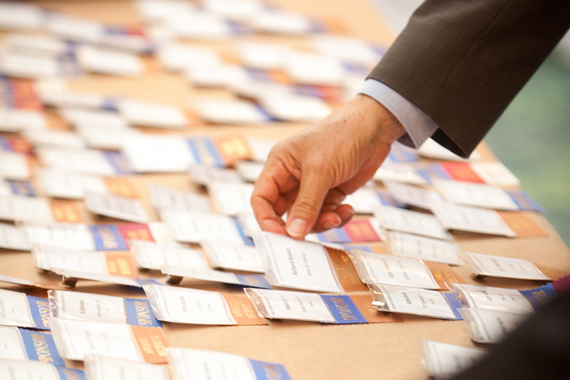 Showcasing provides your company with the unique opportunity to highlight your services / products and to network and meet one-on-one with attendees at EBC events. Showcasing companies are provided with table space (generally a six-foot table) at the program and one complimentary registration. The EBC does not guarantee any number of attendees or specific placement of the table, nor can the EBC offer the opportunity for the showcasing company to make remarks. Showcasing for EBC Member companies is $300, for Non-member companies $500, and for Government / Non-profit organizations $100. Have questions? Don’t see a solution for your company’s marketing needs? Please get in touch with Ann Gisinger, Director of Business Operations, for assistance: agisinger (at) ebcne.org.